Finding one’s vocation was on not only my mother’s mind, for her children and for herself, but also Dorothy’s mind. 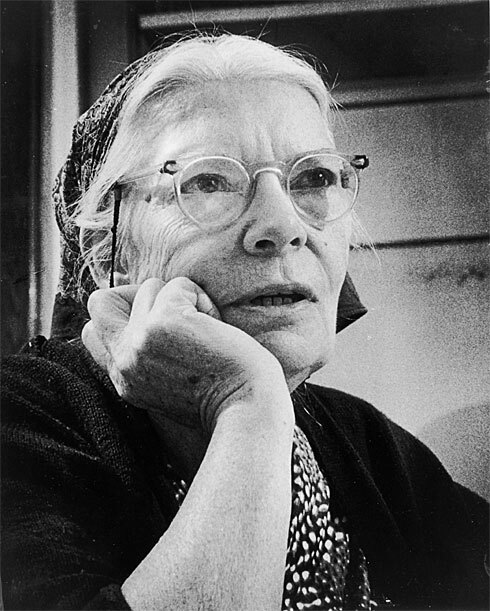 Sometimes, particularly during the postwar, affluent fifties, Dorothy claimed that voluntary poverty was the most controversial aspect of the Worker. During World War II and the Vietnam War, she said it was pacifism. After Vietnam, she said, “The whole of the Catholic Worker is this – on finding your vocation, finding the part where you can work best and go there to work at it.” It was a question she asked many times, “You will know your vocation by the joy it brings you,” she said.